Has the whole world gone to the dogs? It would seem so. These days, our four-legged friends are globetrotting right alongside us thanks to numerous pet-friendly hotels, restaurants, parks and more. From frolicking on Florida beaches to hanging with Fido in a Portland beer garden, Orbitz has all the best hotels for a pet-friendly vacation. Oh, and sometimes man’s best friend happens to be a traveling feline (or bird or reptile) and that’s great too! 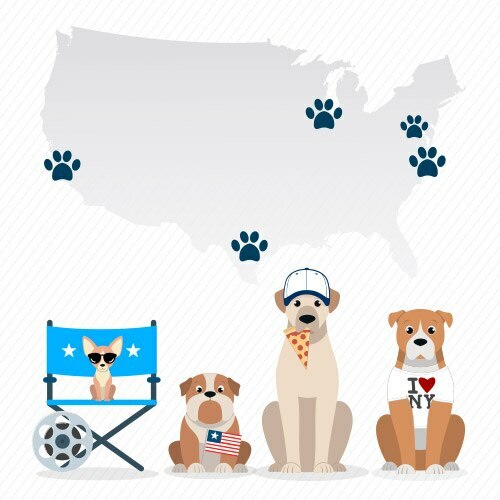 Looking for a woof-worthy vacation destination for you and your four-legged friend? These are America’s top cities when it comes to pet-friendly accommodations, plus they boast fabulous places to dine and roam with Fido in tow. I didn't like not having a microwave inside the room. Need to add microwaves inside the rooms. Had to go downstairs to the lobby to warm up food. The fabulous location is the selling point of this hotel. Plus the very cordial staff made our stay very pleasant. The furnishings of the room could be better but the view of the park was spectacular. Definitely recommended !!! You have the perfect travel companion. They are always up for a new adventure. Sure, they may drink from the toilet sometimes, but you couldn’t ask for a better buddy. At Orbitz, we realize that any vacation you take has to be a pet-friendly vacation. That’s why we’ve put together a list of the best pet-friendly vacation destinations that both you and your furry friend will purr (or woof) about. Hotels worth howling about: There are more types of pet-friendly hotels than whiskers on a cat. Luxury hotels add thoughtful touches for you and your pet, while there are also affordable hotel options that have plenty of fur-menities. Cat-friendly vacations: Pet-friendly doesn’t just mean your doggo is invited. Some hotels make you and your feline friend feel welcome, too. Pet amenities: From mess-resistant carpets to pet-related services and concierges that know where the closest veterinarian is, you’ll be well taken care of. You don’t have to dig for great deals when you book on Orbitz. Save a ton of cash when you bundle your hotel and airfare—so you have more leftover for treats. Your dog-friendly vacation will be off to a great start, because your pup has a place wherever you go. You can rest easy knowing your hotel welcomes your pet’s paws-port.